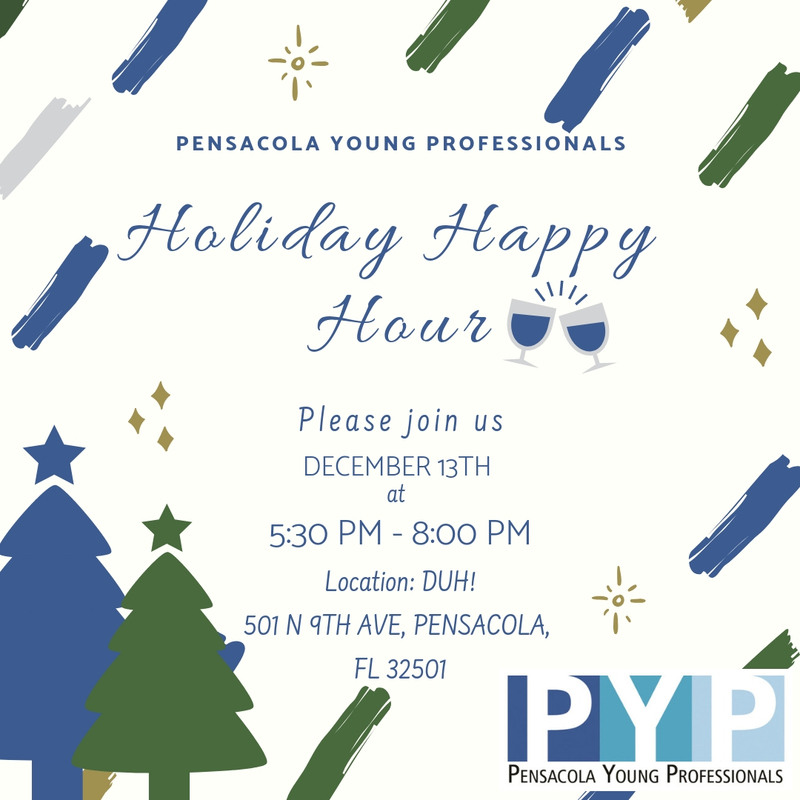 From all of us at Pensacola Young Professionals, we cordially invite everyone to celebrate the holidays with us at our Holiday Happy Hour! Join us at Duh! on December 13th at 5:30 PM for casual networking, drinks, and holiday shopping. Duh! is giving you an opportunity for some exciting, pre-event shopping by letting attendees shop as early as 4 PM. Members and non-members, if you register through the membership portal, you will receive a drink ticket for during the event! This event is open to the public, so be sure to register today & meet us for some holiday cheer! Happy Holidays!